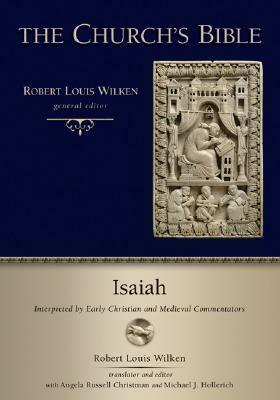 To see what the Fathers have to say about Isaiah 63:3, about God treading the winepress of wrath and staining his robes with the blood of his enemies, I have chosen to look at Robert Louis Wilken, The Church’s Bible, volume on Isaiah. Like IVP’s Ancient Christian Commentary on Scripture, this is a chain of patristic passages, but Wilken also includes medieval writers, and his passages are longer. I find it easier to read than the former, and I do hope the project as a whole some day finds completion (if Wilken or someone from Eerdmans has wandered by, I volunteer myself to edit/translate a volume). St Cyprian has here not only confirmed Malcolm Guite’s statement that the Fathers interpret this blood to be that of Christ, he has taken us into the mysteries of God, to, in fact, the mystery of the Eucharist. The wine-dark blood on the garments is a type of the blood of Christ, which is itself the wine at the Eucharist. The life of the Church is caught up mystically in the death of Christ and rotates back to find itself prefigured in the words of the prophet. Long ago Isaiah looked upon the garment of Christ, which was stained with the blood of the passion on the cross, and inquired, Why are your garments red, and your clohtes as if from a trodden winepress? (63:2). To which he answered, I alone have trodden the winepress, and of the nations no man is with me (63:3). He alone trod the winepress in which he was trodden, he who by his own power conquered the passion which he endured. For he who suffered unto death on a cross (Phil 2:8) rose from the dead in glory. And rightly is it said, And of the nations no man is with me, since those on whose behalf he came to suffer ought to have shared in his passion. But, inasmuch as that time the nations had not yet come to believe, in his passion he laments those who life he sought in that passion. So we see here Christian vision transfigured in the light of Christ’s incarnation, death, and resurrection. Many people get uneasy about the violence of the Hebrew Bible, and they feel that somehow YHWH there is incompatible with the God and Father of Our Lord and Saviour Jesus Christ. Yet the transfigured vision of Who God Is, infused with a grasp of His undying love that died for us, with a realisation that God is Jesus, that God is love, that while we were still His enemies, One of the Holy Trinity was crucified and died for us — this transfigured vision sees prophecy in new light. One of the themes of Guite’s book, Faith, Hope and Poetry, is transfigured vision. We are invited not simply to look at but to look through. Poetry draws us not to stay our eye on the surface of the glass of the window of visible reality but to pass through it to the symbolic realm beneath. The prophetic, apocalyptic, and wisdom literature of Scripture invite us to do this most especially, for in these genres the revelation of the Most Holy and Undivided Trinity is made unto us in the poetic mode, through images, through symbols, through ritual acts, through symbolic acts, through utterances resonant with multiple modes of meaning and richnesses of voice. So we look at Isaiah 63, and at first, if we want to read the Bible as Christians, we see the Rider on the White Horse of Revelation. After all, as Miroslav Volf argues in Exclusion and Embrace, knowing that God as Christ will come to judge the nations with perfect righteousness at the eschaton is what can give us power not to take vengeance now. This reading is not wrong. Somehow, though, the imagery of wine and blood together, and the inevitable association of the divine figure of Isaiah 63 with God the Son, lead the Fathers to see the wine and blood as Christ’s blood, in Gethsemane, on the cross, in the Eucharist. It is a feast of imagery, plentiful with divine truths. This book is a fine piece of introduction and analysis of what may, rather then ‘mystical’, more precisely be considered the contemplative strand of Christianity as it took on and then adapted (or at times rejected) the Platonic inheritance. The 2006 edition is definitely to be preferred, for in this edition Louth closes with a very challenging Afterword wherein he confronts the very concept of mysticism. We all think we know what the word means, but probably we don’t. After chapters on Plato, Philo, and Plotinus, Louth discusses Origen; ‘Nicene Orthodoxy’ which includes Athanasius (who raises an anti-‘mystical’ challenge to Platonism) and Gregory of Nyssa; ‘The Monastic Contribution’ which considers Evagrius of Pontus (the rich but problematic Origenist/Platonist), the Macarian Homilies, and Diadochus of Photiki who brings out strands in both of the other two in this chapter; Augustine of Hippo’s contribution; then Pseudo-Dionysius the Areopagite (whom he refers to as ‘Denys’). Living in a post-Carmelite age whose understanding of Christian ‘mysticism’ is indelibly marked by the late medieval and early modern inheritance, Chapter 9 is an important discussion of St John of the Cross and the patristic inheritance. Louth argues that there is, indeed, some difference, but more often of style and perspective than content. The final chapter is ‘The Mystical Life and the Mystical Body’. This final chapter reminds us of a chief difference between ancient Christian ‘mysticism’ and the philosophers, for the ancient Christians always thought in terms of the Christian community, the liturgy, and the communion of saints, rather than Plotinus flight of the alone to the Alone. In each of the ancient philosophers or patristic authors analysed, Louth gives us a run-through of what we may consider his ‘mystical’ teaching, looking both at their reception and at their challenge of Platonist ideas. It is a helpful book in many ways, although one is reminded that most of the praktike of the contemplative tradition in Christianity is the pursuit of moral virtue and askesis rather than the delineation of particular psychological practices as taught by the baptised Buddhism of Anthony de Mello, S.J., in Sadhana. 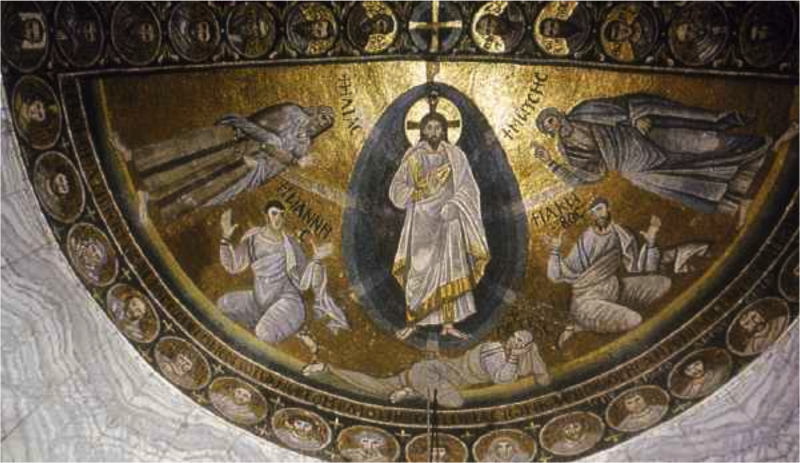 I would have liked to have seen more on Diadochus and the Jesus Prayer, since the Jesus Prayer is the heart of so much of what we may consider Eastern Orthodox ‘mysticism’ today. In the end, I recommend this book. At times it is challenging to read. At times, since it is introductory, it feels not quite deep enough. But overall, it gives you some idea of the landscape of these authors and this strand, as well as questions to take with you on your own journey into the broad literature of Christian spirituality. As I mentioned a while ago, I am ruminating on Andrew Louth’s The Origins of the Christian Mystical Tradition. At present, I am working through the chapter on Origen of Alexandria (184/5-253/4). Origen is the first Christian in the book, and his adaptation of Platonist mystical theory and allegorical readings of the Bible have had a lasting impact on Christian spirituality and theology, right up to this day. One of the things that Louth makes clear is how Origen’s Christian belief impacted his mystical ideas and transformed the Platonic heritage. Louth has a chapter on St John of the Cross and the Patristic heritage, so I’ll be interested to see how he picks this up. Nonetheless, at the roots of the Christian mystical tradition, this idea of feeling that God at times suddenly leaves the seeker alone is found, embedded in both Origen’s personal experience and his reading of the Bible. Part of what this illustrates, besides the germ of the idea of the Dark Night of the Soul, is the uncontainability of the Christian God. He comes and goes as He pleases. 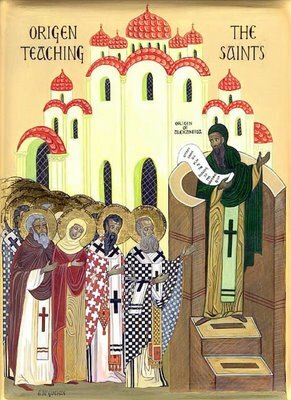 Those Christians who have been blessed with ‘mystical’ encounters with Him know through such experiences as the above that it was not any trick on their part but His very grace that made Him come in that way — this is the teaching and experience of St Bernard, St Thomas Aquinas, St Seraphim of Sarov, Archimandrite Zacharias. Thomas Merton warns, indeed, against seeking these mystical encounters with God (see The Inner Experience). We are to engage in the practices of contemplation; we are to seek God. But whether we have any particular kinds of mystical experience is solely the gift of God’s grace, given by Him as He wills, according to His divine economy and our need. To seek these experiences is what Merton calls iluminism, a mystical heresy that puts more emphasis on the gifts than their giver. Whether mystic or charismatic, the modern Christian should beware! Nevertheless, it strikes me that somehow these teachers all promise some sense of the presence God, whether the Uncreated Light or the still, small voice, as well as the dereliction of his absence. Apologies for being remiss with my monthly popes! I’m still in recovery from learning, as posted here, that St Hippolytus was probably not anti-pope to Callistus I, Urban I, Pontian, and Anterus. My first step of recovery was to go earlier than Hippolytus to St Victor I; today, I give you one of Hippolytus’ contemporaries, Pope Pontian, whom tradition says was martyred alongside Hippolytus. 3. While these things were in progress, Urbanus,who had been for eight years bishop of the Roman church, was succeeded by Pontianus, and Zebinus succeeded Philetus in Antioch. Chapter XXVIII.—The Persecution under Maximinus. Chapter XXIX.—Fabianus, who was wonderfully designated Bishop of Rome by God. During Maximinus’ persecution, Pontian and Hippolytus were exiled to Sardinia where both of them died. Before dying, Pontian abdicated from the episcopate; the first Roman bishop to do so. This, according to J. N. D. Kelly, is our earliest secure date in papal history: 28 September 235, as recorded in the fourth-century Liberian Catalogue. They were later interred at Rome — an excavation discovered Pontian’s grave in the catacomb of San Callisto in 1909. Because of the dispelling of the old Anti-pope Hippolytus fable (still believed in Kelly’s A Dictionary of Popes), there is not much more to say about Pontian. He was Bishop of Rome for five years, and then died in exile during a persecution. The few notes worth highlighting are that persecutions were rarely targeted at the entire Christian population — Maximinus Thrax’s persecution was directed at leaders, especially bishops. Note also to take Eusebius’ account of there being many Christians in Alexander Severus’ household and this being the reason for Maximinus’ persecution with caution. Finally, while not everyone buried in the catacombs was a martyr, some were. This is largely based on J. N. D. Kelly and Michael J. Walsh, A Dictionary of Popes, 2nd ed. Oxford: 2010. The translation of Eusebius is that of the Nicene and Post-Nicene Fathers, Series 2, Vol. 1; trans. Dr. Arthur C. McGiffert and Dr. Ernest C. Richardson. Beloved, let us love one another. For love is of God, and everyone that loveth is born of of God and knoweth God. He that loveth not, knoweth not God, for God is love. I think that any love without God is artificial and not genuine. For God, the Creator of the soul, filled it with the feeling of love, along with the other virutes, so that it might love God and the things which God wants. But if the soul loves something other than God and what God wants, this love is said to be artificial and invented. And if someone loves his neighbour but does not warn him when he sees him going astray or correct him, such is only a pretense of love. -Origen of Alexandria, Commentary on the Epistle to the Romans, in Ancient Christian Devotional, Year A, p. 200. But would the above mean that those who are not consciously in communion with God through Christ cannot love? I would say no for the following reasons: a. they are made in God’s image; b. God is love; c. Justin Martyr’s logos spermatikos working within them can keep the image and love of God alive enough to be true love. However, perhaps what many of us think is love isn’t love? Perhaps it’s some sort of selfish feeling that has little to do with God or the good of the other person but makes us feel nice? Not always. But sometimes.